Having successfully project managed the redesign of three London properties, her dream finally became a reality. 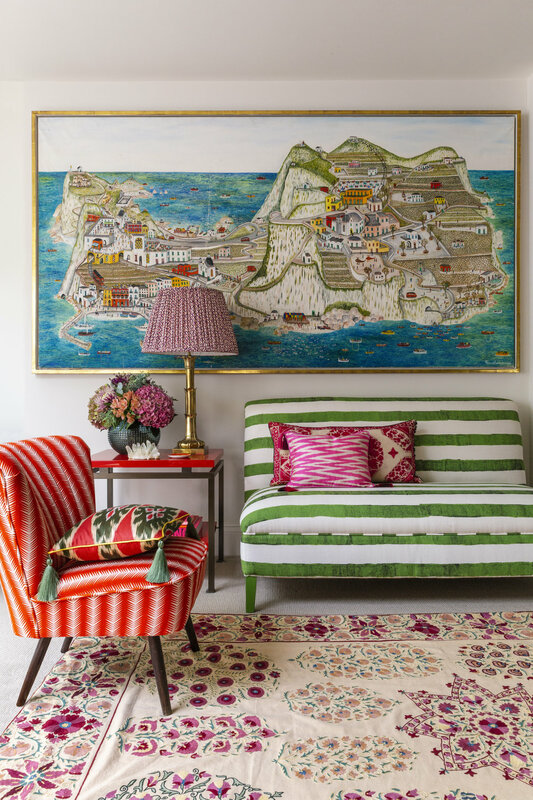 After travelling to Istanbul earlier this year in search of textiles for her West London home, she was blown away by the colourful Turkish aesthetic and all its Byzantine delights. CasaCoeur was born swiftly on her return. Crafted from a beautiful combination of woven fabrics, her cushions work in both traditional and modern interior landscapes. They bring a burst of energy to any room, capturing the spirit of exotic urban travel.